Hanna blazes its own path with iconic Sauvignon Blanc and handcrafted Bordeaux and Burgundy wines. There never is enough time to see and do all that you want in California’s wine country. 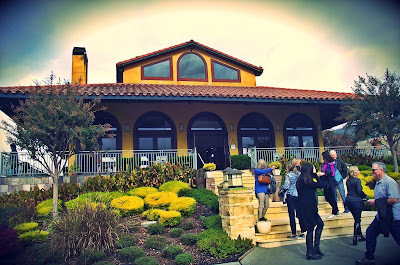 We arrived for the Wine Bloggers Conference a few days early to explore Sonoma, the host for the latest event. Our travels took us from one end of Sonoma to the other, but we didn’t have time to explore one of our favorite AVAs, Alexander Valley. Not to worry. Our group (Green Dragon and tasting team members Cabernetor and Glorious T) had thoughtfully reserved a pre-excursion trip to Hanna Winery. 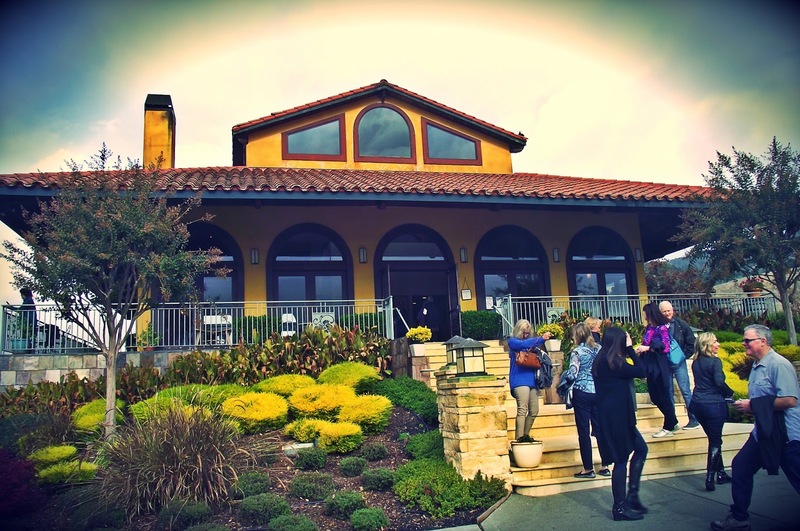 Our foray into Alexander Valley was a joyful highlight of our WBC experience. 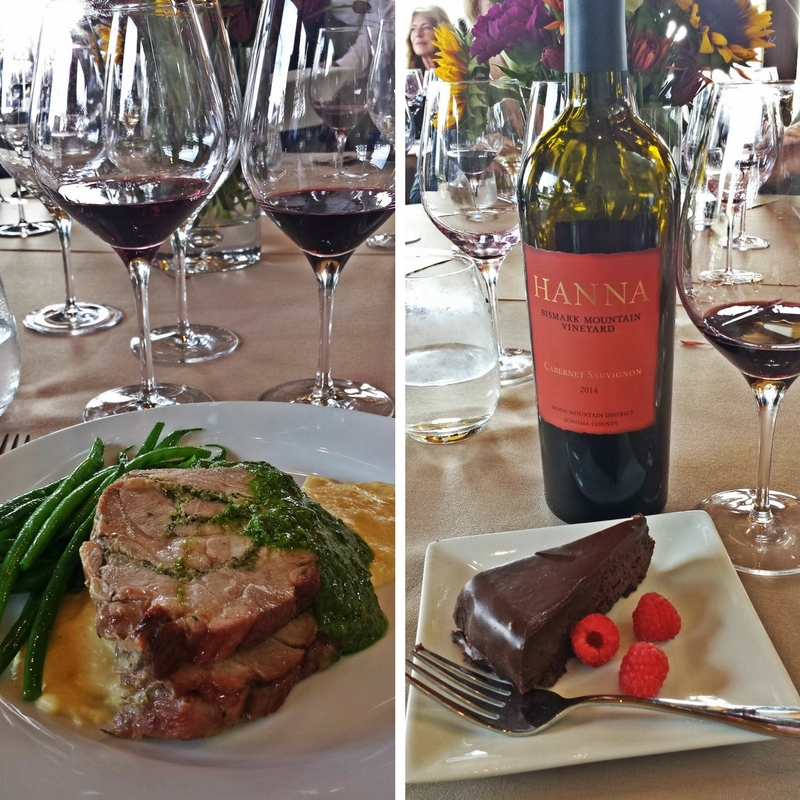 Hanna Winery was founded in 1985 by Dr. Elias Hanna, a world famous cardiac surgeon who wanted to continue the farming heritage of his upbringing. 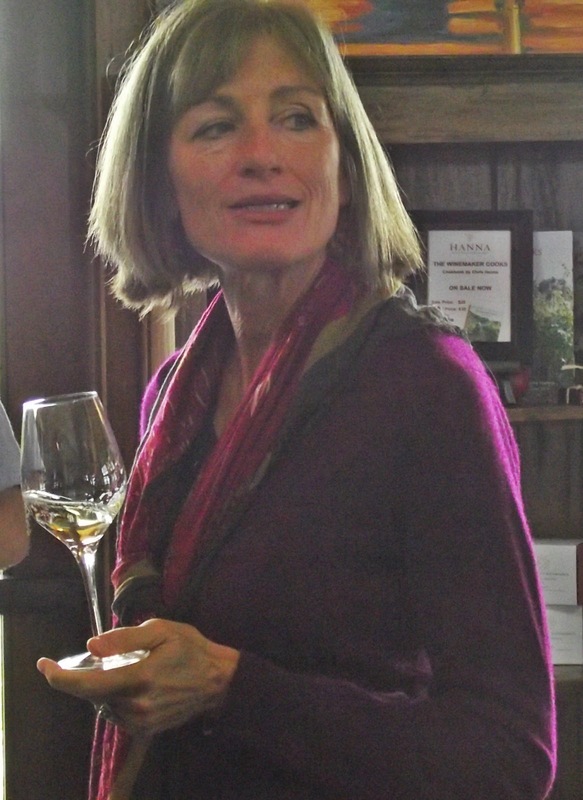 His daughter, Christine Hanna, took over management of the winery in 1991, and guided the winery’s expansion to become an iconic producer of Sauvignon Blanc, as well as handcrafted estate grown Burgundy and Bordeaux varieties. The winery has 230 acres planted to vines in four vineyards. The vineyards are located in Alexander Valley, Russian River Valley and Sonoma Valley. We were welcomed by Christine Hanna and a glass of their superb Sauvignon Blanc. After unwinding from the bus trip, winemaker Jeff Hinchliffe led us to the cellar where we were treated to a barrel tasting of 2017 Malbec. 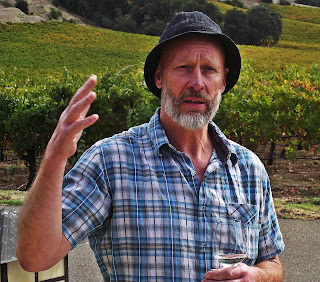 Jeff explained that the focus for Hanna was on balance and technique and that the winery refused to engage in the “nuclear arms race of new oak.” That suits us fine, since overly oaked and tannic wine is a turnoff for us. The next taste came from left field. 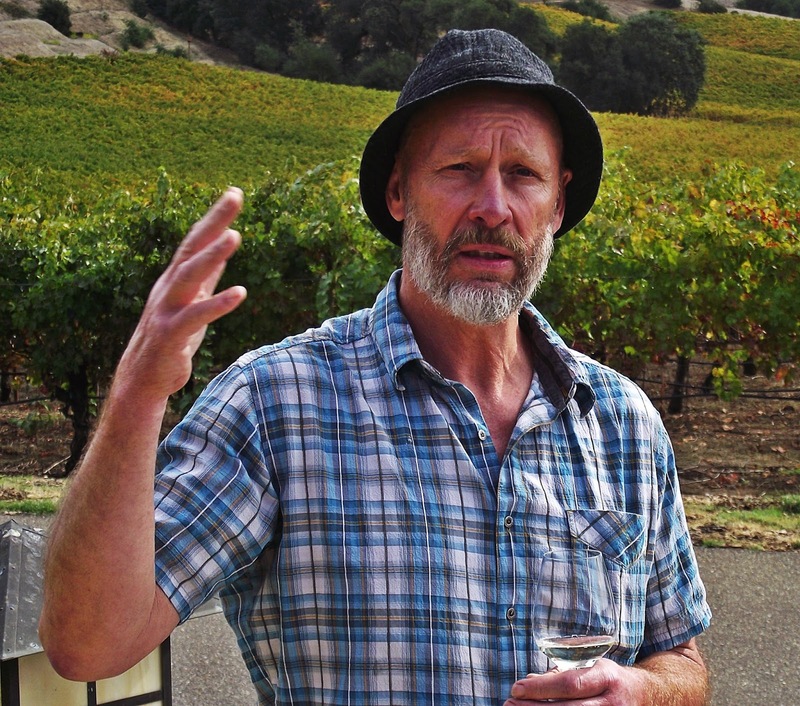 Jeff announced that Hanna had planted some St. Macaire grapes and would soon release it as a single varietal wine. We were fortunate to taste barrel samples. St. Macaire is a “lost grape” from the southwest of France, now rarely seen. Only four acres are planted in France. Hanna has a half acre of St. Macaire. Editor’s note: Hanna released its Reserve St. Macaire – the only such release in the US – last month. The St. Macaire coated our glasses. The flavors are plum and blackberry with savory notes of mushroom and oak. The overall texture is silky. Emerging from the cellar, we returned to the brightness of the tasting room. Chris Hanna is a food writer, cooking teacher and cookbook author. In fact, we recently hosted a wine pairing dinner based on her recipes. As you can imagine, the lunch was wondrous. The first course was Baby Spinach Salad with Roasted Butternut Squash, Toasted Sliced Almonds, Picked Red Onion and Warm Bacon Dressing. The pairing was Hanna 2015 Russian River Valley Chardonnay. The Chardonnay has nice minerality and flavor notes of lemon and vanilla. The main course was Porchetta with Salsa Rosamarina, Soft Creamy Polenta with Fresh Corn, Mascarpone, Pecorino and Parmesan with Haricot Vert with Extra Virgin Olive Oil and Sea Salt. Whew! What a dish. This plate was accompanied by two wines: Elias 2014 Russian River Valley Pinot Noir and the Hanna 2014 Alexander Valley Cabernet Sauvignon. Elias Pinot did not disappoint with flavors of cherry and violet and traces of earthiness. The pork entree worked well with the lighter Pinot as well as the Alexander Valley Cabernet. The Cabernet has blueberry and cocoa flavors and brought tremors of excitement to our tablemate, The Cabernetor! The last wine of the afternoon was another rare treat. The Hanna 2014 Bismark Moon Mountain District Cabernet Sauvignon is a 500 case release from Sonoma’s newest AVA. The Bismark Vineyard is on the Sonoma side of Mt. Veeder and features rocky volcanic soil. The area is so remote there are no roads. To pair with this high elevation wine, was an elevated dessert! The Flourless Chocolate Cake with Fresh Raspberries was a knockout and the deep, rich flavors were the perfect foil for dark and brooding Bismark. The wine packs as much power as the vaunted German battleship Bismarck. The wine is nearly opaque and has big, concentrated flavors of brown sugar and plum with a hint of pepper. This wine was one of the best that we tasted during our week in Sonoma and Napa. Hanna is a Certified California Sustainable Vineyard & Winery. 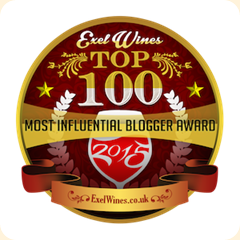 We’ll also certify that they have amazing wines and remarkable hospitality. We encourage you to seek out Hanna wines in your local wine shop and make the trip to their Alexander Valley or Russian River Valley tasting room.